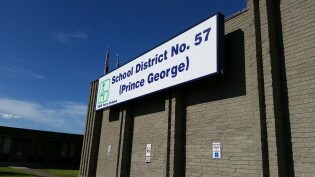 Prince George, B.C. – The Prince George School District will unveil its five-year capital plan summary at tonight’s monthly public board meeting – the final meeting of the 2016-2017 school year. At the top of the list is a renewed call for $9.3 million to increase capacity from 600 to 750 students at D.P. Todd Secondary. Also in the plan is a submission for $200,000 in upgrades under the Province’s Carbon Neutral Capital Program for the replacement of two existing atmospheric boilers at Heritage Elementary School. The district is also calling for $480,000 under the Province’s School Enhancement Program for radon mitigation and control programs at Edgewood, Harwin, Quinson, and Spruceland elementary schools and College Heights and D.P. Todd secondary schools. In addition to that is a request for the development of an Asbestos Management Plan in accordance with WorkSafe BC totaling $205,000 and an ask for a dust collection system in the industrial education wood shops at Prince George Secondary School totaling $500,000. The district is also seeking the replacement of a dust collection system at McBride Secondary ($325K) and the replacement of the roof at Westwood Elementary ($402K). Projects approved by the Ministry of Education under the last five-year capital plan included the replacement of Kelly Road Secondary School, lead mitigation in the water at four elementary schools (Edgewood, Foothills, Nukko Lake, Pineview) in the district and upgrades to the heating and ventilation system at Blackburn Elementary. The deadline to submit the district’s 2018-2019 capital plan is June 30, 2017. We had an Asbestos mitigation plan in the 70’s elementary schools. We through our pencils into the ceiling tiles, dispersing the asbestos equally in the classrooms. Good times. This school needs it. There are almost no windows.